Netanyahu American donors: Small group funds huge share of Israeli prime minister's campaign. 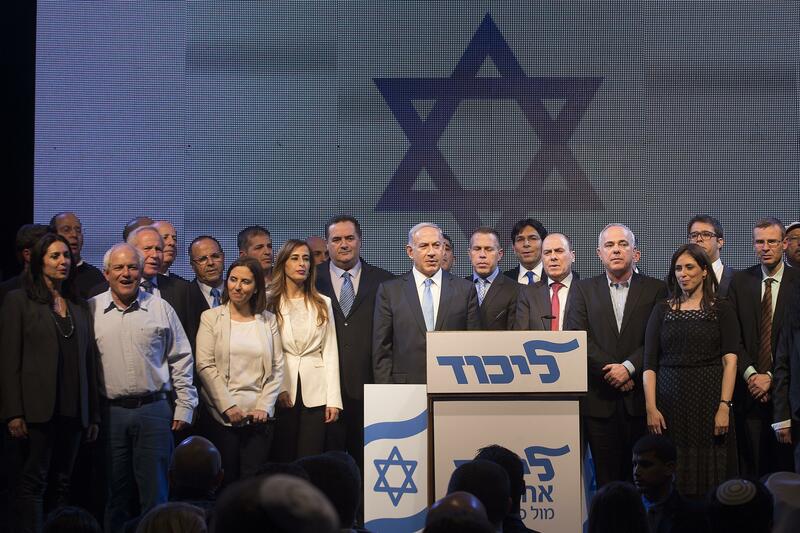 Netanyahu with fellow members of the Likud party. All three familes have other Israel connections and are active donors to Jewish causes. The Falics are well-known for donating to rightward-leaning Israeli initiatives; the Zionist Organization of America called family patriarch Fima Falic “a great Jewish patriot.” Members of the Book family were honored at a 2013 New York City gala celebrating “Jewish life” that was also attended by Elie Wiesel, while Jet Support Systems CEO Neil Book is on the advisory board of an Israeli security company connected to the Israel Defense Forces. The Schottensteins have funded an archeology center in Jerusalem and a program at Yeshiva University. It’s illegal in the United States to solicit or receive campaign donations from foreigners.